This mosaic is part of a triptych of images based on Psalm 22 ("Cross"), Psalm 23 ("Hills") and Psalm 24. 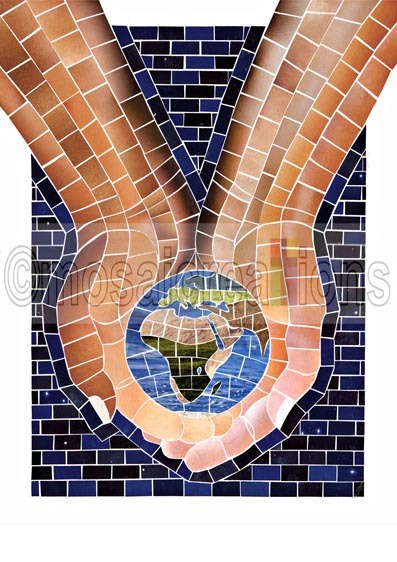 "Hands" was the first mosaic piece that I created and the original is currently on permanant loan to Redcliffe College. The piece illustrates God presenting the world as His perfect work with an element of tenderness as the hands cradle His creation. The hands extend over the frame to demonstrate the blurring of the boundary between the divine and the human orders.